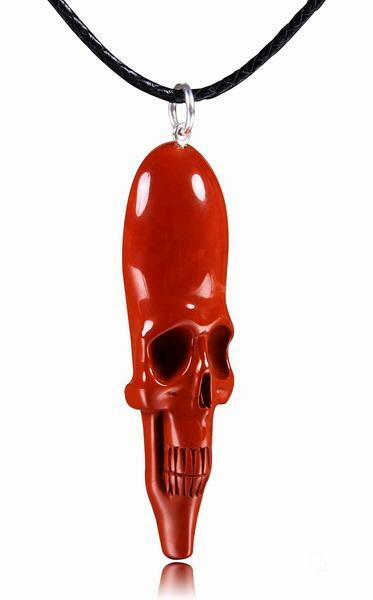 You are looking at a Red Jasper skull pendant. 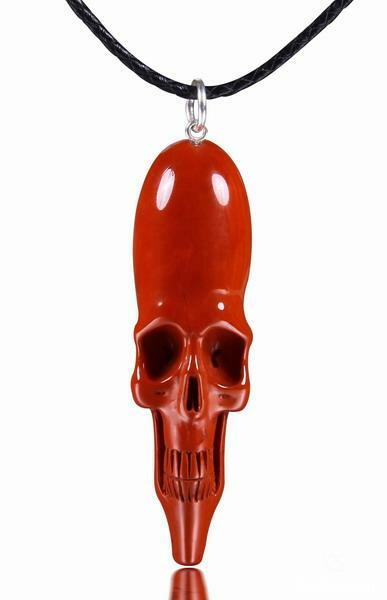 This stone works much like Bloodstone in its link to the circulatory system. Beneficial in battling diseases of the blood and detoxifying blood-rich organs like the liver. It helps bring problems to light before they are a threat. 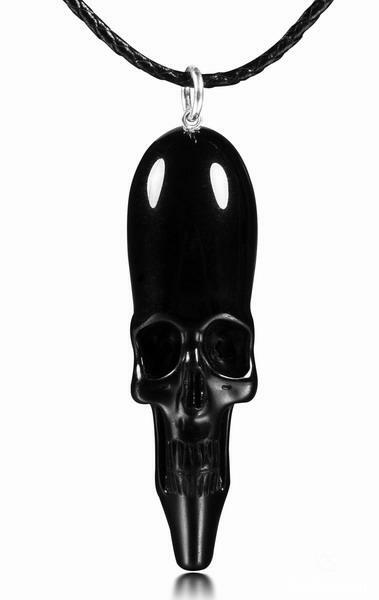 Also used for protection, courage, energy. Help with blood, relieve anemia, stop bleeding, heal rashes and wounds. Red Jasper can be used at the Root Chakra and represents Earth, Physical identity, oriented to self-preservation. Located at the base of the spine, this chakra forms our foundation. It represents the element earth, and is therefore related to our survival instincts, and to our sense of grounding and connection to our bodies and the physical plane. Ideally this chakra brings us health, prosperity, security, and dynamic presence. The color for the root chakra is red and it is grounded with your power. 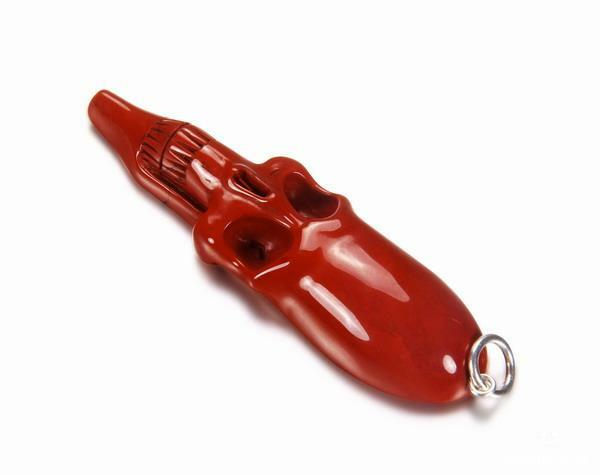 Red stones are considered projecting stones and are used to destroy disease, strengthen conscious, courage, strength, physical energy, luck, and success. Dense, heavy, and/or opaque.